Blake grew up in southern California and graduated from Cornell University in 2009 with a B.S. in Applied Economics and Management. 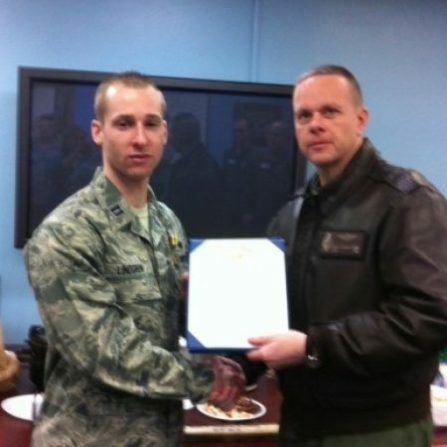 He received his Air Force commission as a Distinguished Graduate of Cornell’s ROTC program. Assigned to the Space and Missile Operations career field where he served as a Missile Combat Crew Commander, he was responsible for the command and control of nuclear intercontinental ballistic missiles. Blake held a variety of leadership positions to include serving as an executive officer and flight commander. Blake is a member of the Class of 2017 at Duke University’s Fuqua School of Business.